If you have been considering a trip to Germany, then one thing that you can do to make your trip more enjoyable would be to pick up some German language skills before you go. Most high schools do not teach German these days, but there are still plenty of opportunities for people to learn a language. Whether you are interested in learning German for work or for pleasure, you can learn German by using one of several different language learning programs. How Can You Learn The German Language Effectively? As is the case with many foreign languages, there are different approaches that you can take in order to learn the language. Some people will start out learning a language on their own, by using books and online programs. These can be helpful in some instances, though many people find that they are not given enough practice of speaking or listening to the language. As a result, they may be able to read or write some German, but when it comes to understanding a fluent speaker, they are lost. Another option would be to go back to college or take some type of private tutoring in German, but both of these options are extremely time-consuming and not necessarily effective. There are certainly many people who have taken German in high school or college, only to find out that their skills did not translate to the real world, particularly when they travel to Germany. 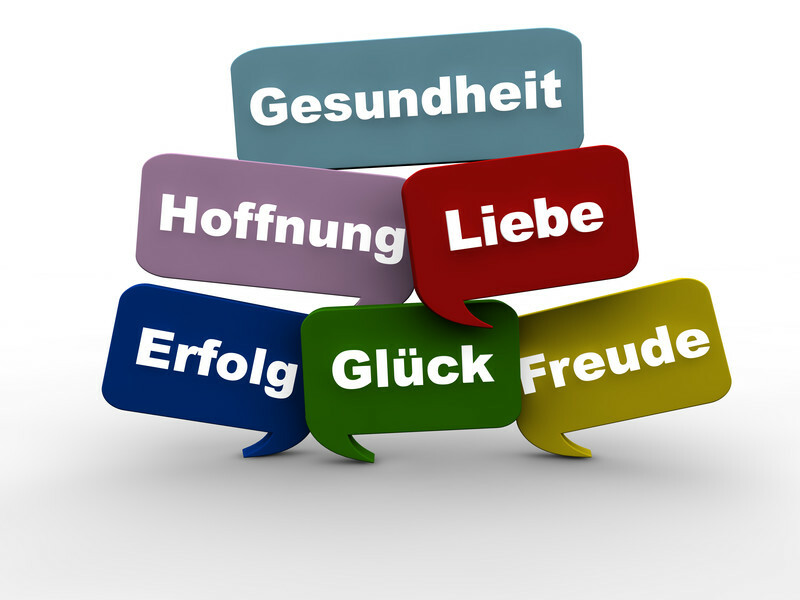 What Kind Of German Language Skills Do You Really Need? One beneficial aspect of learning German over other languages is that because there are so many similar words between English and German, reading or writing German is not terribly difficult. This makes traveling in Germany fairly easy for most English speakers, and with some effort, they can usually decipher such things as street signs. What you may need help with is being able to understand German people who are speaking at full speed, and also feeling confident enough to interact with them in their language. Many people find that speaking a foreign language is extremely intimidating, especially when they have not had a lot of experience in doing so. So, the most successful language programs for most people are those that allow plenty of verbal practice. The real key to learning any foreign language is going to be plenty of practice and determination on your part, since it can take some time to become confident in the language. Most people who are able to tackle a second language do so by working on their skills on a daily basis, often for many months or years at a time. In general, the more often you are able to listen to German and speak it with a fluent speaker, the better you will be when it comes to speaking the language. One program that has been highly successful for many people is the Rocket German program, which focuses almost entirely on helping you to speak with confidence and understand fluent speakers. Rocket German uses several different methods to help you perfect your pronunciation, understand how fluent Germans speak, and be able to pick up the entire phrases so that you can communicate. One particular aspect of this program that many people find beneficial is the way that it allows you to record your own pronunciation and compare in real time to a fluent speaker. This has been proven to be the most effective way to aid in proper pronunciation. It may surprise you to see just how many people are now using Rocket German as a way to learn the language on their own. Because most adults do not have the time to go back to school in order to learn a language, the fact that this program makes learning so entertaining and easy is why it is so rewarding for learners. Is This The Best Way For You To Learn German Language Skills? The German language has a reputation for being somewhat difficult to learn, particularly when it comes to understanding the spoken word. If your goal is to travel to Germany or a German-speaking country, then you will need certain language skills to help you get around and interact with the locals. With a program like Rocket German, you will discover not only how to learn German language, but you will gain further insight into German culture.